There are many types of sea sponges, but of the over 5,000 species identified by scientists worldwide, less than 12 of them are actually harvested for commercial use. 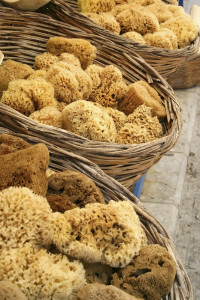 Of the types of sponges harvested for commercial use, the Wool, Yellow and Grass sea sponges are some of the most versatile and usable sponges available. Natural sponges have several distinct advantages over synthetic sponges in that they are much more absorbent, more durable and longer lasting, will not stain or retain odors, and their soft texture promotes better and less abrasive cleaning. Sea Wool Sponges are well known for their exceptional soft texture, absorption and durability. They are also one of the most versatile types of sponges available. These qualities make Wool Sea sponges ideal for spa and bath use, and for safely bathing infants. Wool sponges are also used to safely clean delicate surfaces such as vehicle clear-coats, (cars, trucks, aircraft, boats, etc…), fine china, crystal and more. Tradesman and artisans also use these types of sponges for creating faux painting effects, wallpapering, texturing, pottery-making, and numerous other types of jobs and projects. We cut our Wool sponges in half to increase the usable surface area and make them easier to grip and use. Although not quite as absorbent or soft as Sea Wool Sponges, Yellow Sponges are more economical and a better choice for exfoliating or scrubbing. Firmer than “Wool” sea sponges, Yellow sponges are great for cleaning jobs that need a bit more scrubbing. While extremely soft, Wool sponges are simply not dense or firm enough to scrub any but the most delicate surfaces. Yellow sponges are a much better choice for these types of applications. Yellow sponges are great for use as an exfoliating bath sponge, faux finishing, texturing, tile and grout work, household and general cleaning projects. The Yellow Sponge is named for its attractive light golden color, and is typically less expensive than Wool. Natural Yellow Sea Sponges are a versatile tool having hundreds of uses. Native to the waters off Florida, the Sea Grass Sponge is a finer pored sponge, and while they offer an economical alternative to Sea Yellow and Sea Wool Sponges, they are somewhat less absorbent and durable. 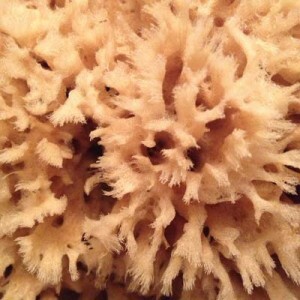 Grass Sea sponges work well for use as bath sponges and can be used for faux finishing, and general purpose cleaning, but is more limited by its durability.